Su Yi could not help but slightly raise his eyebrows. Today, if he could not pass the selection test in this place, that would be absolutely embarrassing! As the people from the Su Family arrived, it attracted a whole lot of attention and many eyes fell upon Su Yi. Some young men were infuriated and some looked at him in disdain. If it was not for the experts of the Su Family, there would already be some people rushing up to him. You must know that what Su Yi had done 3 years ago had attracted the enmity and rage of the entire city. Su Yi did not pay any attention to the discussions around him. It was all within his expectations. He followed the rest of the people from the Su Family through the reserved entrance and went directly up onto the platform. That was a special position reserved only for the 5 big families and even within the families, only the upper ranks and the leaders could sit at that position. There were still some seats in the surroundings. Those were for the smaller powers in the city. This time, the leader from the Su Family was Su Jing Ting and there were still quite a few High Elders and martial experts, sufficiently proving how important this test was to them and it also showed the respect they had for Sacred Mountain. There were only 5 people who were participating in this test from the Su Family. Other than Su Yi, there were 2 young men and a young lady. The last one was Su Wei who was being supported by a person. Su Wei had been seriously injured, his face pale-white, his fist covered with bloody bandages. He had been treated by many High Elders non-stop during the last night. Much effort had been spent on him. That was why he could still barely stand up today to participate in this selection test. The platform was in the shape of a crescent moon. There weren’t that many seats available. Even among the respective big families, only a few had the right to sit on those seats, the others could only stand. When Su Yi arrived on the platform, the people from the 5 big families had already settled down. Some were greeting each other while some were whispering to each other with their heads lowered. It was quite lively. The city of Man was huge. The surface area it covered could not be considered little at all. All these years, though there had been many confrontations between the 5 families in the shadows, overall, they could still be seen as quite the friendly bunch. Following the arrival of the Su Family, people of the big families in the surroundings had already started to raise their heads and greet them enthusiastically. Su Jing Ting clasped his hands, his stern face smiled slightly. The people from the other big families were very courteous. Everyone there knew clearly that Su Jing Ting may only be an adopted son of the Old Master Su Yun Tian and was also only the Acting Head of the House, but for all these years, his ability and spirit had already been recognized by the entire city. Of course, this recognition was mainly because of his strength. Su Jing Ting’s strength was known well by the rest of the big families. This person was not easy to deal with. And at this very moment, Su Yi had only just stepped onto the platform when he felt multiple gazes had fallen on him. He raised his eyes and traced the gazes. He saw many familiar figures and the most familiar ones were the 3 young men from the Song Family, Mo Family, and the He Family. The eyes of the 3 youths were boring holes into Su Yi’s body. In their eyes, flames seemed to be dancing, like they wanted to eat Su Yi alive. Shouted the three youths at almost the same time. They could not hold themselves back any longer and rushed forward to Su Yi, enraged, to settle the score. Su Jing Ting, the Grand Elder and the rest of the Su Family felt really awkward seeing this sight. But at this instance, several fierce shouts came from the Song, Mo, and the He families. Hearing these shouts, the 3 youths could only force themselves to calm down. They seemed to be afraid. just that their eyes were still staring at Su Yi closely like fire was going to spout out from them. “Sorry to let Brother Jing Ting see such a sight,” Some people from the Song, Mo and He Families smiled bitterly at Su Jing Ting. “The few youths are still young. This is no problem at all. Seeing their demeanor, they could all surely pass the selection test and when the time comes, enter Sacred Mountain. Not long after, anyone of them would be able to intimidate an entire faction just by their names alone, bringing glory to the city of Man!” Su Jing Ting smiled. The few Head of the House were all smiling. They seemed to take delight in those words. Looking at the 3 youths whose eyes seemed to want to spout fire, Su Yi did not really bother with them. There was no need to argue with a bunch of little kids. But in the end, this was all because of that Liu Ruoxi. Su Yi naturally knew those 3 youths. Their age was about the same. He San of the He Family, Song Wu Qiu of the Song Family and Mo Bu Fan of the Mo Family. Su Yi looked around him. The figures seated down on the platform, Su Yi could recognize basically all of them. The ones who had just shouted at the 3 youths were the respective Heads of the House. He Yi Kuan of the He Family, Mo Lai of the Mo Family and Song Ming of the Song Family. As Su Yi looked at them, he could see that the Heads were also looking at him. Song Ming, Mo Lai, He Yi Kuan were all looking at Su Yi and had gentle smiles on their faces. But confusion was hidden in their eyes. They had seen Su Wei who had been seriously injured was barely breathing. It seems that the news they had received yesterday was true. But if Su Wei had really been injured by Su Yi, Su Yi should have stepped into the Yuan Soul Realm. Did this kid really become a prodigy all of a sudden, or did some kind of miracle happen to him in the Forest of Demons? On the entire platform, there wasn’t any lack of other gazes. They were all on Su Yi voluntarily or involuntarily, judging him blatantly. Su Yi clasped his hands and bowed, being very respectful and polite, not giving a care for the eyes of those around him. Mo Lai smiled slightly. He looked around 40 years old, slightly fat. His eyes narrowed as he said his words. He could not help but feel a little awkward himself. Could this kid bring glory to the city? Has he thought a little too much? If this kid does not jinx the city, he will burn incense and thank the gods. “I will try my best,” Su Yi nodded and replied seriously. “Let us all sit down. 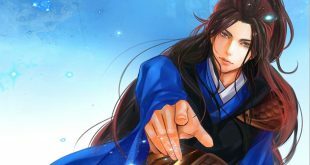 The experts from Sacred Mountain would be taking a while more before they arrive,” He Yi Kuan spoke.His face was wide and huge and his clothes were extravagant, adding to his temperament. The crowd greeted each other and sat down. The rest could only stand at the back. Su Yi naturally did not have the right to sit down. Not far away, Song Wu Qiu, Mo Bu Fan, and He San, these 3 youths were still staring fiercely at him. Su Yi smiled bitterly and paid no attention. The people from 4 big families were all there. There were also some people from the Liu Family on the platform. There were even some High Elders which had already sat down. Behind the few High Elders from the Liu Family stood a few young men and ladies. Su Yi recognized them too.